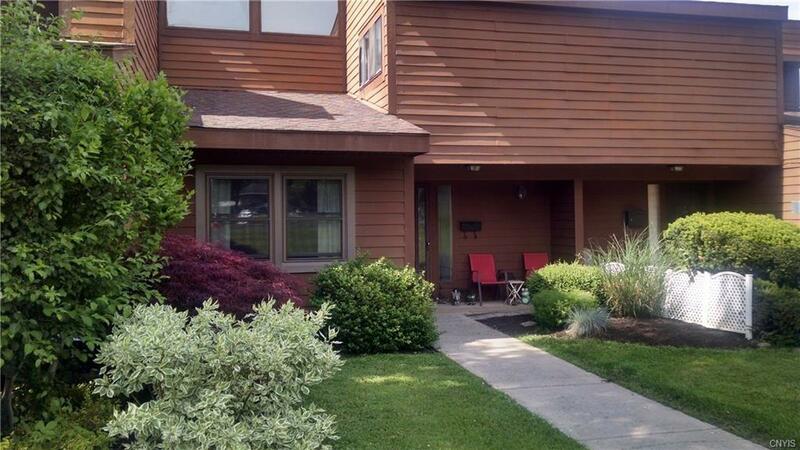 MOVE IN READY 3 BEDROOM 2 BATH TOWNHOME ON THE FOXFIRE GOLF COURSE! Spacious dining room, living room, 1st floor laundry/utility room. Upstairs are three nice size bedrooms with bath. The spacious master has cathedral ceilings with a loft window that fills the room with light, washer/dryer stay! Maintenance free living in scenic Village Green. Relax on your patio and watch the action from the 16th hole fairway! Listing information © 2019 CNYIS, GENRIS, WNYREIS. Listing provided courtesy of Tjmg Properties, Llc.